Some 54,000 salmon have escaped a Marine Harvest grow-out in the township of Naeroy, about 540 kilometers north of the Norwegian capital, Oslo, it has been learned. “We are obviously sorry that a large escape has occurred,” fisheries official, Anton Rikstad, told Norwegian newspaper,Namdalsavisa, on Wednesday. The escapee event, which occurred on Tuesday, is large even for Norway, where large biomass holds lead to proportional escapes, including the in-total 10,000 escapees registered in 2017. For comparison, just 22 escapee fish were registered in British Columbia in 2016, Canada. These were caught, weighed and traced back to their pens. Marine Harvest is also B.C.’s largest grower, and as in the Canadian province, the company was quick to hire professional anglers and fisherman to retrieve the lost Naeroy fish. “It’s good they’re taking it seriously. We value that,” Rikstad said. Yet, few seemed shocked by the mass breakouts in 2017 of Atlantics in waters known to harbor their wild genetic cousins. “Provides a basis for careful optimism,” said Oyvind Lie, director of the Fisheries Directorate’s coast and aquaculture administration, about the “low” escapee numbers last year. That careful optimism, however, may now have been undermined somewhat. Apart from the Naeroy event, four salmon escapes in Western Norway in 2018 include one possible mass escape. The Naeroy event is blamed on a hole created when netting was damaged during a service operation at the Marine Harvest site. Divers hired by or working for the company reported their findings to Fisheries officials, and the company had secondary escape-prevention nets were set up in the area to help local fisherman corner escaped fish. A wellboat that emptied the pen after the event confirmed the toll was 54,000 escapees, a number fishermen are now being paid about EUR 30 per retrieved fish to rein in. 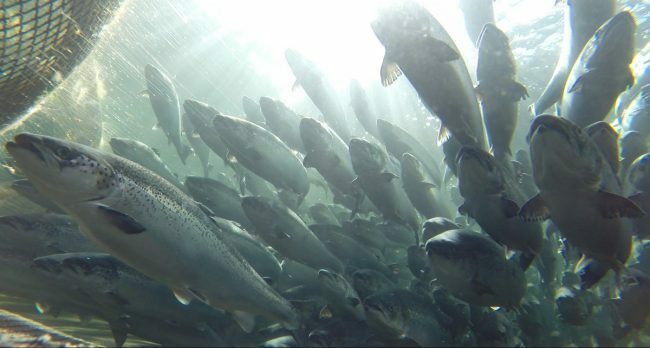 Some 38,636 Atlantic salmon were lost among all the Northern Hemisphere’s salmon-farming nations in 2017.